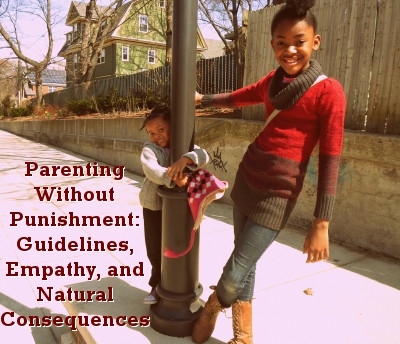 This entry was posted in Attachment Parenting, Balance, Family Structure, Gentle Discipline, Parenting Philosophies and tagged chores, cleaning, empathy, gentle parenting, guidelines, natural consequences, peaceful parenting, punishment, rules. Bookmark the permalink. When I moved away from rules and punishment it was very much trial-and-error, and over time I’ve found what works to keep our family (myself and my two daughters, who are 9.5 and 3.5 years old) connected and running smoothly. Today I’d like to share a concrete example of how using guidelines, empathy and natural consequences looked for one of our family’s challenges – keeping our apartment clean. Get everyone on the same team, discuss the issue and explain why it needs attention. Agree on what we all want, what our goals are – individually and as a family. Form a plan together to achieve our goals. Discuss guidelines that should be followed in order to carry out the plan. Our apartment is normally a mess, I admit it. We unschool so there’s never a huge chunk of time when everyone is away and nothing is being used. My daughters go from room to room, playing and exploring and hurting my beloved possessions. I, too, wander absently around, fixing and finding and rearranging. We woke one morning about two months ago and I was instantly in an off mood. I looked around at my apartment and knew that the clutter was making me feel worse. And the girls, too – they were arguing more, their tempers were shorter. We couldn’t think as clearly as we needed to. We called an informal family meeting to discuss The Horror. Deep down I wanted to set rules and keep a schedule, maybe have a chart to say whose day it is to do which chore. I wanted that because it’s similar to what I grew up with, but deep down I knew that wouldn’t sit too well with either girl, because we’d never done it that way. Plus I wanted to encourage, not discourage, and the prospect of cleaning alone is discouraging even to me. When I think of natural consequences, the big question for me is always, “But will they get it?” If we set a guideline and someone fails to meet it – what then? How will they learn if I’m not imposing a consequence that will make the lesson stick? My four-step plan of action helps me to parent peacefully and keep our connection first, while effectuating the results our family needs. Keep reading to see how each step worked when we tackled the problem of how to keep our home clean. When I’m introducing a new idea to my children, I let them know that right now it’s just an idea. I haven’t come to a decision without my teammates. With the chores, I told Ryleigh (the 9-year-old) of my chart and days idea, and she didn’t like it. Cool, let’s keep talking. Ry’s answers are they key to my faith in natural consequences. Once I know how she truly feels about a subject I apply that knowledge as a way to show her why I do what I do. It also helps me to show her why she should do what I’m encouraging – she should do it because it’s a factor in how happy she feels, and she wants to be happy. It’s so important because it genuinely shifts my focus from merely wanting chores done, to wanting to help Ryleigh to learn a skill. She answered that she doesn’t feel good when her room isn’t more neat – she can’t find her things, she feels anxious, and she gets disappointed in herself. I tell her I hear her saying that when her room is messy she doesn’t feel good about herself and she’s less happy, stressed even. She says that’s how she feels. I ask if she understands why she should do what I’m encouraging – she should do it because it’s a factor in how happy she feels, and she wants to be happy. I tell her I haven’t been setting a good enough example and I’m going to change also. That’s why we are a team, because it’s easier to change together. Ryleigh agrees. Then we get mushy for five minutes or so and I ask, do you understand that as your mom who wants the best for you, I have a responsibility to help you keep your room keep your room the way you really want it, and the rest of the house? She says she does, and I believe she truly understands. Now we are on the same page, we’ve agreed on the terms, and we can establish a verbal, team contract. What are our goals? I try to find creative ways to merge what is best for our family with what will make each individual feel happy, respected, and empowered. I tell them I know I haven’t always been so great about tidying, and I am going to step up. I cannot do it alone because I’m only one person and I’m responsible for so much, and I mostly enjoy it, but we are a team and I need you to pitch in. Ry says she understands and she wants to help. Lo says she can’t stand cleaning up. This is our contract. I refer back to it repeatedly as we learn to work together. I remind them of what we’d decided and of our responsibility to honor it, and I try to model for them the steps we must take, in order to do so. What are the steps that will enable us to reach our goal? This part is often tough for me, because reasoning with my girls is sometimes like being at a staff meeting in the Twilight Zone – occasionally we really don’t get each other. Ryleigh loathes chores. She is a procrastinator, like I am. And she’s always busy with an experiment or a journal entry or a computer game. Still, taking the time to listen to her and to explain my actions is rewarding, because when I am motivated by love and when I lead with connection, my children want to behave. Our plan – the steps we needed to take to reach our goal of keeping our home neat – was that we would work together throughout the day to keep the apartment organized. We agreed that we wouldn’t go to sleep without doing a check to make sure most things were put away and there were no half-filled glasses around. We decided to clean up after breakfast, after lunch (if we’re at home), and after dinner. We all liked the idea of tackling every room together but we also agreed that when we needed to be done quickly, we could separate. What behaviors should we all display, in order to help us carry out our plan? Be flexible and empathetic. In place of hard-and-fast rules, we discuss guidelines inside which we should all strive to operate. 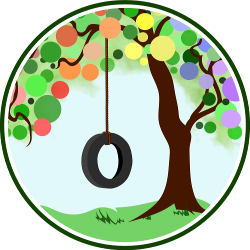 What behaviors should we all display, in order to help us carry out our plan? As we formed a plan together, Ryleigh relayed that she didn’t care much for the idea of having to do chores according to an exact schedule. I agreed with her; we live at a relaxed pace with very few scheduled activities – but we knew already that having no schedule wasn’t working. – we will always act with kindness and empathy. I didn’t set any rules on my own, and I didn’t have to sit the girls down and lecture them. They know that whatever we agree to is partly their doing. It’s a team process because it’s a team effort. These steps can be tailored to fit your family in many ways, for many household matters. The key is to focus on supporting your children, rather than centering your thinking on obedience. Of course we want our children to get along with us and others – for their own good, because we love them. But should we teach them to obey blindly? I don’t want to. I believe in allowing our children the necessary time to draw conclusions for themselves, while doing my best to display the same behaviors I ask of them: kindness, fairness, self-control, respect, empathy, and unconditional love. When my girls are allowed to take part in the decision-making, they regard their responsibilities more seriously and are often harder on themselves than I would be. Connection is the key for us – we don’t want to let each other down because we are a great team. We cherish our relationship. I hope this post proves useful to you in some way. Teaching with natural consequences can sound like a lot of work, and it is, especially in the beginning – but it’s fulfilling and rewarding. I’ll discuss in a follow-up post how once my family got into the groove of our new plan; it meant much less work and stress for everyone, and more time. And more importantly, we all feel respected and included. I will also discuss what happened after the family meeting – how the girls are learning lessons on their own, and how it’s been working for us. We’ve been successful but it hasn’t been without problems – or, as we’ve learned to call it here – growth. What great guidelines! This is an example of effective parent leadership. We are trying to come up with a similar housekeeping plan right now. I am wondering what to do when my 9 year old son tells me he the clutter and mess really don’t bother him. How do we get him on the same team as my husband and me so we can move on to step 2-4? I’m wondering the same. How do you get them to cooperate if they don’t care and it doesn’t bother them that it bothers you? Wow. This is so clear, so powerful, so helpful. Geez, I miss you. I am so grateful for this inspiration. WoW that was so inspiring to read, my daughter is just 2 months old, I however am much like Ryleigh, feel stressed and disappointment when unorganized. Since I do not know what my DD will be like i hypothesis if I take the responsibility to have some tidiness around her now she may be more apt to liking order!